The political slogan tee trend is certainly one we’ve noticed around election time, but it really took off during the Spring 2017 New York Fashion Week. With such a controversial election last year, it appeared that designers really wanted to make their own statements. Fashion is their way to do it, of course. “Fashion, of course, has always served as a form of self-expression but this season, in the midst of political upheaval and social unrest, designers wanted more. An industry populated and inspired by the very people current provocative ideologies target – outcasts, minorities, women and gays – designers used their platforms to take a stand the only way they know how; with clothes. A far cry from the pre-teen FCUK branding of the 90s, this round of slogan tees stand as a visual marker for what you believe in, a sartorial meeting of minds and a firm middle finger to the establishment” (Source). My favorite articles about this trend are from Vogue and Vanity Fair. Some of my favorites are from Prabal Gurung who designed tees that “declared “The future is female,” “I am an immigrant,” “Our minds, our bodies, our power,” “Revolution has no borders,” “Stronger than fear,” “Nothing more, nothing less,” “Awake,” and more” (Source). Christian Siriano’s ‘People are People’ tee is also one of my favs. 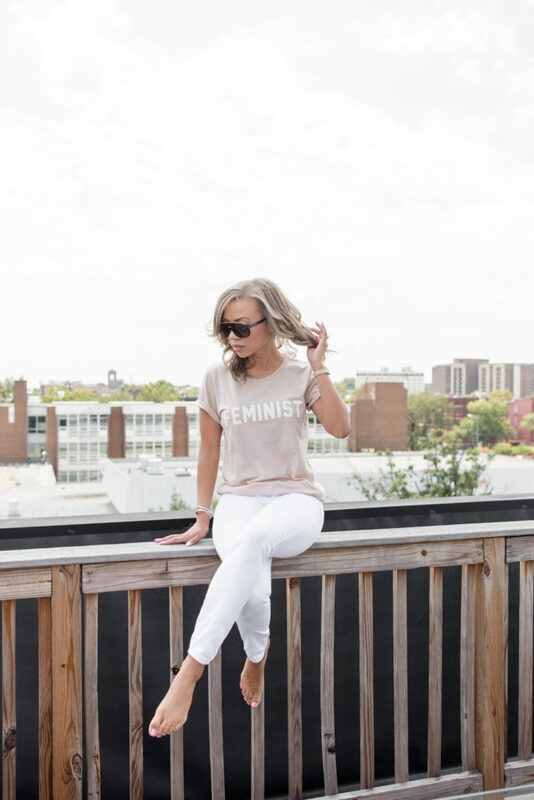 The tees that resonate the most for me are the female themed tees, like my Feminist tee. I think it’s so important to stand up for what you believe in (especially when done respectfully) and this trend is a great way to stand up, be heard, make a statement and look good/trendy while doing it! You can see more of my favorite tees below.